Since 1986, Littleton Pet Center has been the premier mountain retreat, with 34 beautiful acres where pets love to visit! Our staff has the most advanced, formal pet care training to ensure the highest standards of safety and care in the area. We offer pet lodging, grooming, daycare and training. Your pet is sure to enjoy our modern, super-clean, spacious and fun facility. We offer dog and cat lodging, grooming and daycare. A few of our facility highlights included heated floors, automatic water bowls, bright and airy accommodations and professional and caring staff. Two secure, spacious and fun play yards. 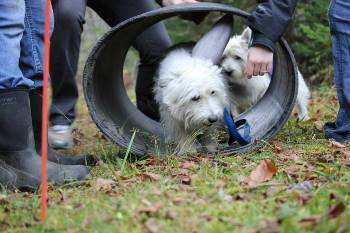 Individual or group play, based on your dog's needs. Luxurious climate-controlled accommodations for all-size dogs. Soothing music in accommodation rooms. On-site staff seven days a week. Video surveillance, backup generator and 24-hour monitored alarm system to ensure maximum safety for all guests. Since many of us have long work hours, home responsibilities and countless other demands, our dogs often lack the attention, exercise and stimulation they need and desire. Pet care experts agree that doggie daycare not only provides dogs with a fun way to interact with other pets but also helps to alleviate many negative results associated with leaving your dog alone for long periods of time (i.e. chewing, hyperactivity, excessive barking). We are confident your dog will love Littleton Pet Center's doggie daycare and the benefits it will provide to both of you. 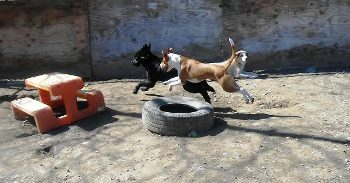 The center offers your dog a safe and fun outlet to socialize with canine friends under the supervision of our highly trained staff. When you're away, you should be able to relax, knowing your dog is having a blast and receiving the best possible care. At Littleton Pet Center, each dog receives plenty of supervised playtime and lots of affection from our friendly and highly trained staff as well as the proper amount of rest in our comfy accommodations. 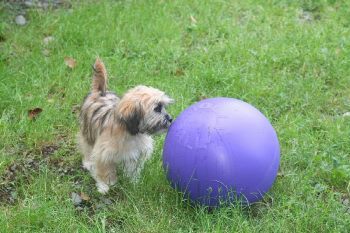 During your dog's stay, we offer a personalized program that will engage, stimulate and entertain them. We offer countless services, such as our complete grooming, bathing and brushing, nail clipping (filing or grinding) and teeth brushing. If you are booking these services in conjunction with lodging or daycare, please make your grooming reservation as well to ensure availability. Monday to Friday, 7:30 a.m. to 5:30 p.m.
Sunday, 12 noon to 5 p.m.
Littleton Pet Center has been added to your trip.